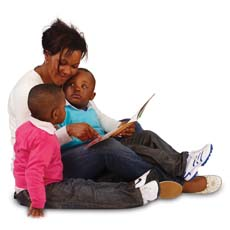 Home-Start Haringey Hackney and Waltham Forest is a charity which trains volunteers to support local families who are facing difficulties, and who have at least one child under the age of 12. We are part of a national network and believe that parents play the key role in giving their children the best start in life. We support around 70 Haringey, Hackney and Waltham Forest families by recruiting and training over 40 new volunteers each year. Our staff are experienced in matching volunteers to the needs of each individual family. Please do have a look at our site where we hope we give you the information you need. If not, please check our FAQs, or contact us, and we’ll be pleased to help you in any way we can. Should you have difficulty in downloading any of our forms, please let us know and we will post or email them to you. We are very grateful to our funders for the support they give, and without whom there would be no Home-Start Haringey, Hackney and Waltham Forest. Should you want to make a much needed donation, please visit our fundraising page or make a donation. Thank you. Download our most recent annual report here. Download our 2015 audited accounts here. Have you got some time to spare? Home-Start Haringey, Hackney and Waltham Forest is currently looking for new Management Board members who have time and enthusiasm. The overall responsibility will be managing the scheme and ensuring it acts at all times within its constitution and agreement.